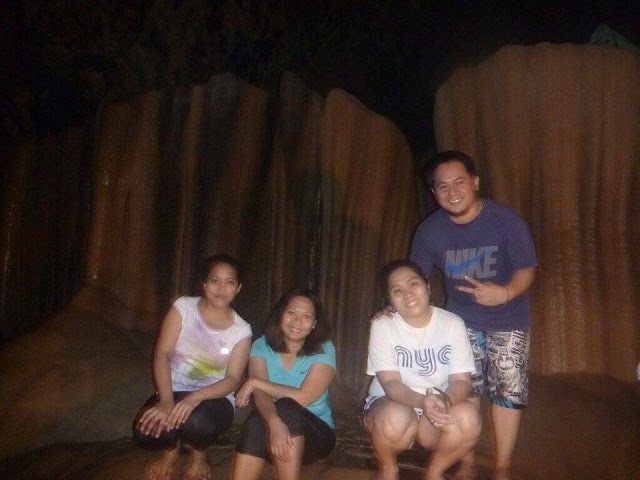 We woke up around three in the morning to take a bath and get ready for our next adventure in Sagada. Our guide told us that we should leave Mayor's Guesthouse before dawn so that we can enjoy our next activity because if we go there around five in the morning or so we will experience heavy traffic and oh I was so shock, imagine even in Sagada there's a traffic. We left around four in the morning. I was so sleepy but the freezing cold breeze of Sagada woke me and I find myself chilling, oh hates cold weather. After about ten minutes drive we finally arrive on our destination - Sumaging Cave. 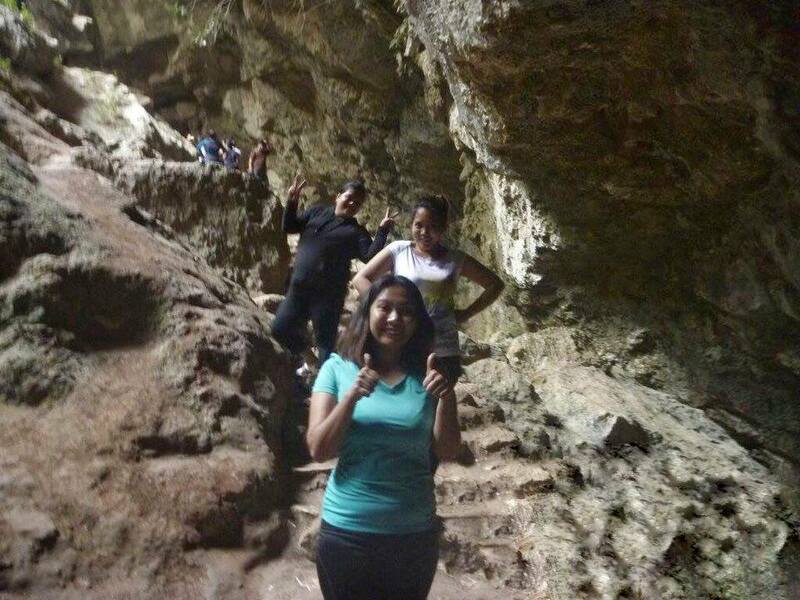 Our guide told us that our adventure on this Cave has three parts- easy, intermediate and hard.For the easy part, our spelunking started as we march on a well-constructed stairs that lead us to the mouth of the cave. 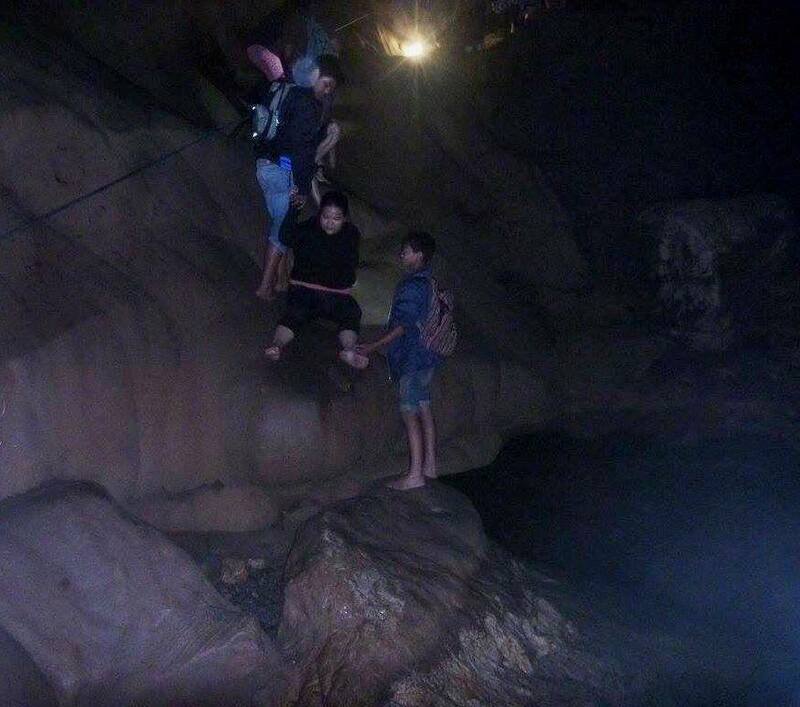 We thought that the trip would be that simple until we reach the cliff full of bat excrement, yes you read it right, the cliff is full of slimy bat excrement that you need to touch to get to the next level. It wasn't that bad though. Believe it or not the latter doesn't have a mushy smell and hey! it's part of the adventure. The guide then told us to leave our footwear because we have to walk barefoot from then on. From the cliff you can see the gems of this cave- rock formations. The intermediate part is already hard for me. Imagine, the trail going down is dark, cold and you have to pass through a cliff (full of bat poop) by sliding or holding the rocks on it. This is the first time that I have done this and all throughout that stage all I am thinking is "I have to surpass this so that I can go back to the cave's mouth alive and in one piece." After the cliff we have to climb down one of the rock formation by holding a rope and sliding before you reach the bottom. Pools with clear and cold water welcomed us after this. For some odd reasons the cold water in Sagada always relaxes my tired feet. Unfortunately, you cannot swim on this pools because they have holes that are large enough that a person can fit on it. The guide told us as well that they don't have any idea unto where will you be flushed out if you fall on one of the holes. 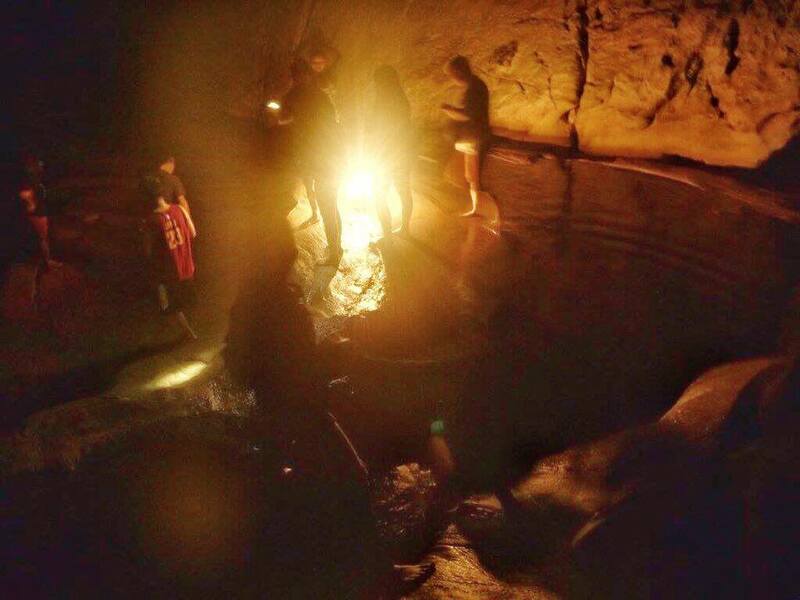 Aside from this pools we were also amazed with the different rock formations inside this cave. 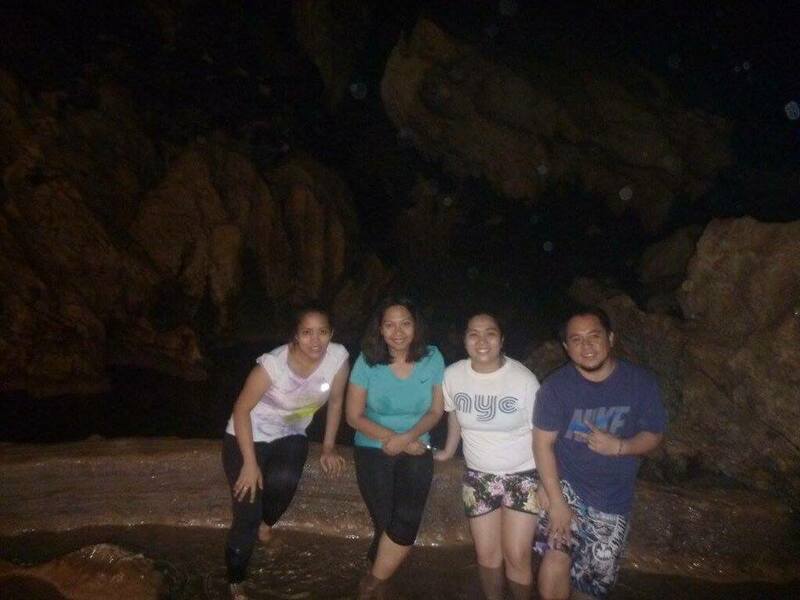 We thought that our spelunking was done upon seeing the jacuzzi like dripping pool and rock formations in the cave but we are wrong. 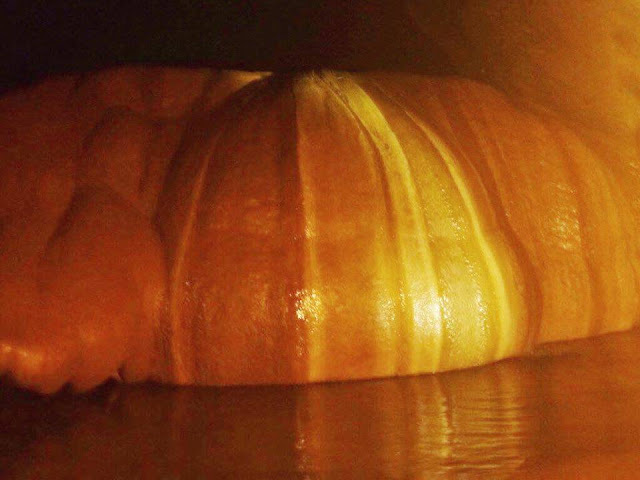 We descent down the cave further by sliding on a smooth rock that lead us to another pool and the King and Queen's Curtain. After resting and taking some memories the guide told us that we have go back to the cave's mouth since a lot of tourist are going inside the cave. Going back is a bit tricky. We went back to the pools by rappelling on a smooth rock. We then go back to the cliff by climbing a human ladder. It was a bit frustrating to see and climb on your guides just to ascend to the cliff. Then we slide and hold the rocks on the cliff covered poop and back to the concrete stairs. 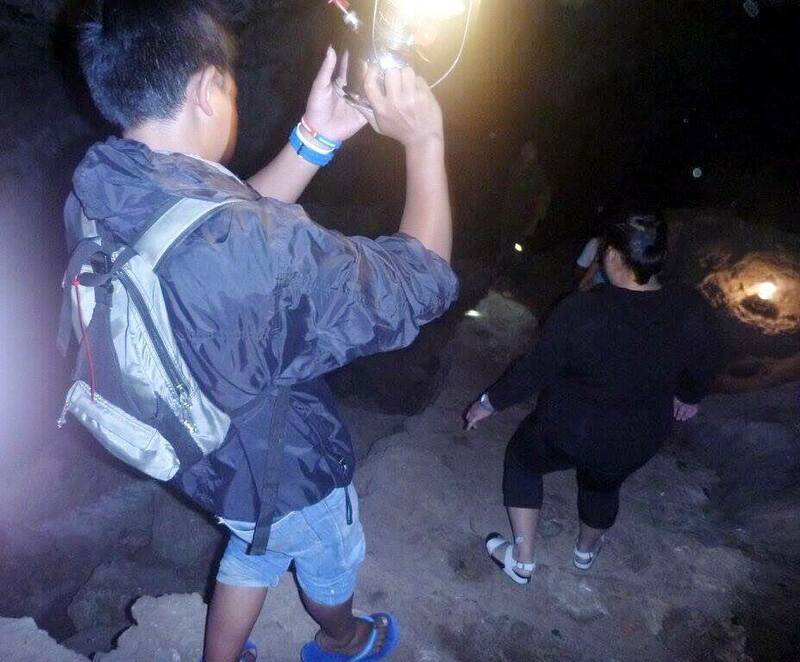 Upon seeing the light peeking in the cave, I rejoiced and thank God that I conquered the cave and went back in one piece. 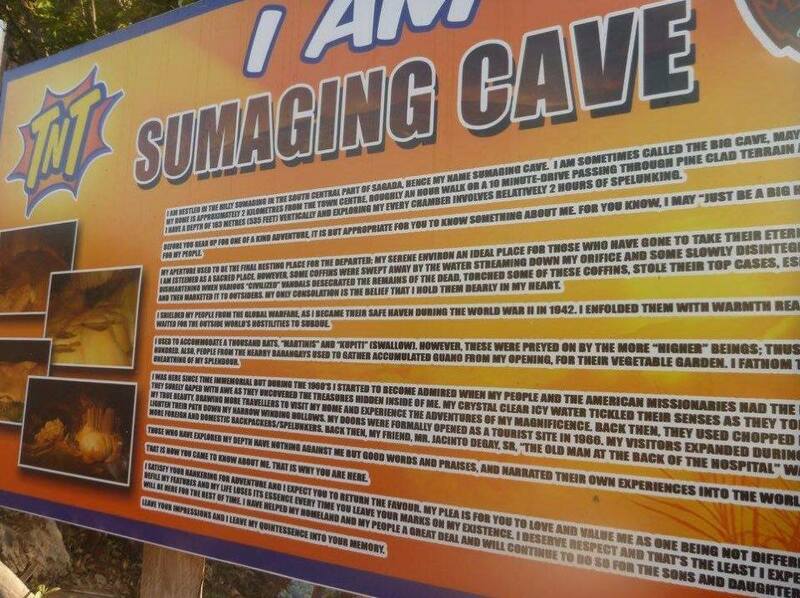 It took us about three to four hours to finish the whole Sumaguing Cave. After three hours rest in Mayor's Guesthouse we then went to our next destination for the day, the Eight Wonder of the World, Banaue Rice Terraces. It took us about an hour and half to reach the Rice Terraces. It was raining when we went there and we got scared along the way because of possible landslides. 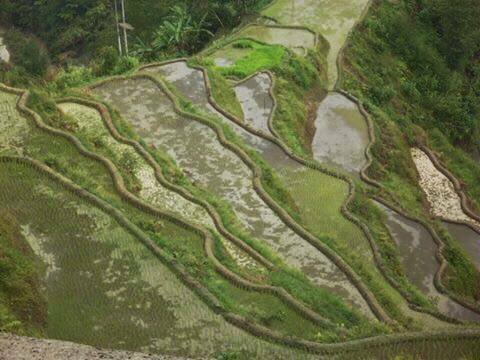 Upon alighting the van we saw the majestic Rice Terraces. 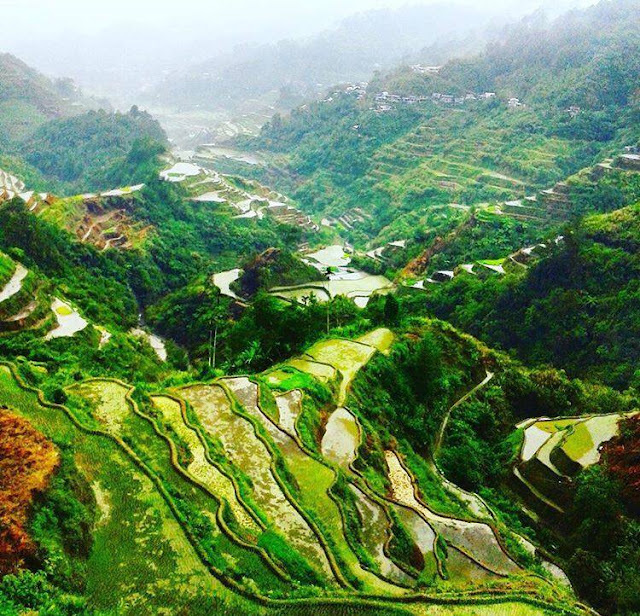 It is so beautiful and who would have thought that this rice terraces is 2,000 years old and were carved in the mountain by our Ifugao folks. They used minimal equipment and most of the work is with their hands. 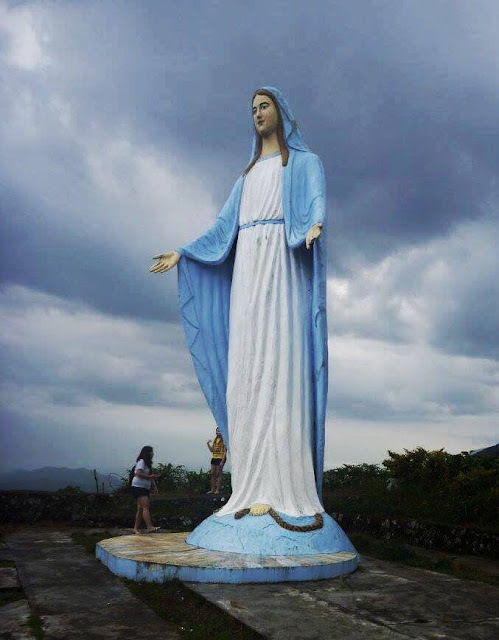 Before going back to Sagada we drop by Mount Polis to visit the statue of the Blessed Virgin Mary. After praying and taking more memories we went back to our lodge. We were so tired that we went to sleep early with big smiles on our faces. Such an amazing trip.. This is nice.. I've not been to the Philippines yet and your country simply amazes me with so many different offerings. Thanks for recommending Sagada. I've never heard of it before. I need this kind of adventure in my life! The Rice Terrace is amazingly beautiful. Nice trip you did there. Sagada is one of the destinations na madalas na napupuntahan nowadays kasi iyan ang mas mura pero kahit pa, it is one of the best the country has to offer. Outside and inside. The terraces and the caves. wow nice photos and i wish to visit philippines one day! philiphines? sure would want to go there soon! beautiful! 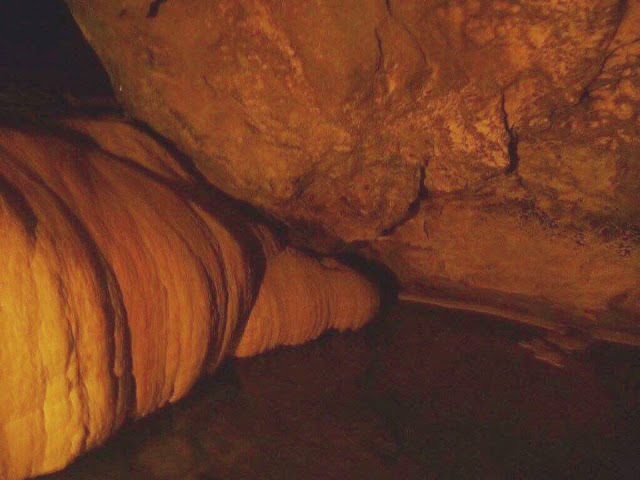 The cave looks really beautiful with its natural formation and designs. This is cool, adventure is always my favourrite! I have not visit to Sagada before but the place looks interesting and adventurous. I wanna go there one day and visit Mother Mary's statue! That looks amazing, i would too want to visit this place someday with my kid! Such an awesome adventure. 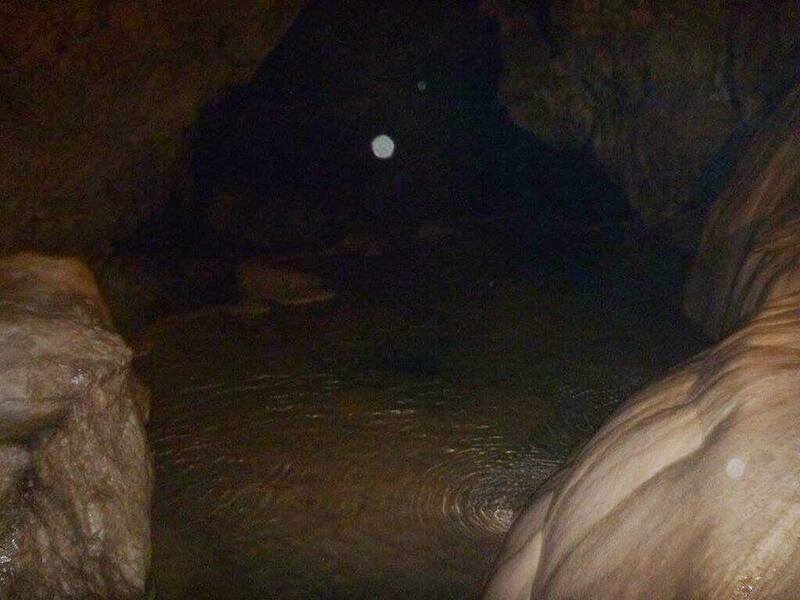 The cave looks so exciting. ooo an adventure. looks like a fun caving activity that i would love to go for one day. this will be on my bucket list.